Today I'm playing along with the Gratitude theme for this month's International Blog Highlight hosted by the lovely Kylie Bertucci! This theme has another kicker that it should be Thailand inspired as Kylie will be on the incentive trip in Thailand when this blog goes live! Wow! I would love to be there with her! Next year, the incentive trip is in Alaska on a cruise ship & I'm aiming for it! 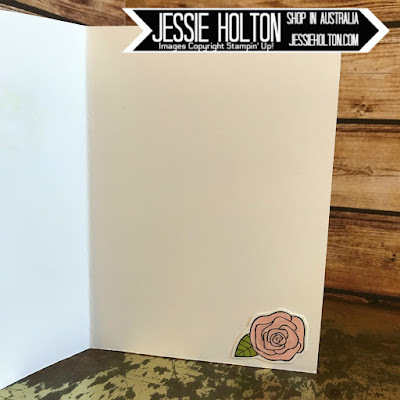 I have used the gorgeous Happiest of Days stamp set today which has some really cute images, perfect left alone or watercoloured & some lovely sentiments too! This stamp set is a birthday set, but I have used it a bit differently today. I hope you like it! Oh Happy Day! Oh it will be a Happy Day when I reach that incentive trip to Alaska! Haha! Isn't this font & image just adorable? This card is also inspired by the lushness & greenery of Thailand. 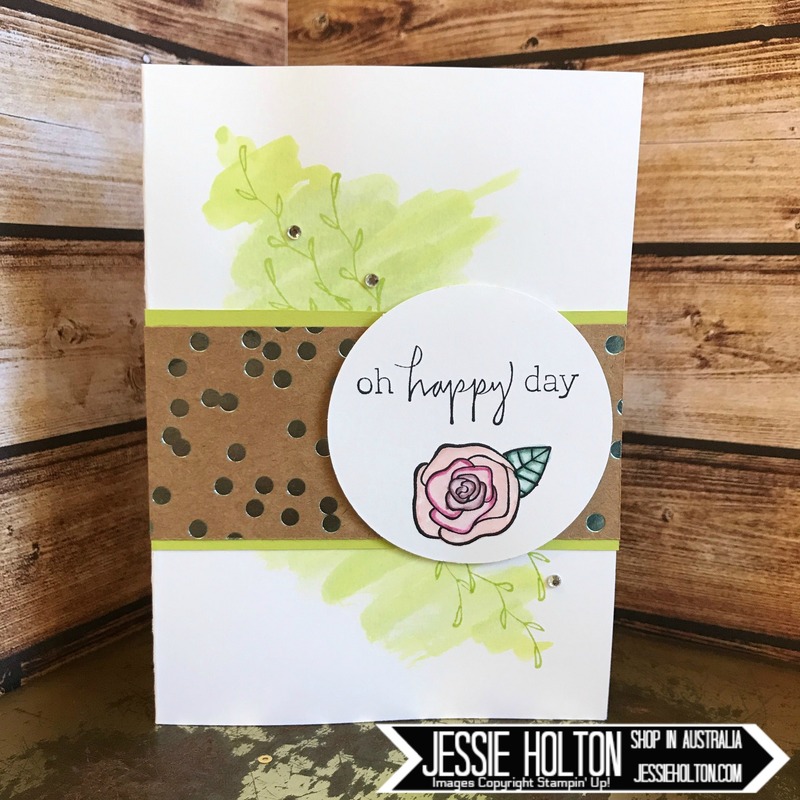 I've used a Thick Whisper White cardstock base & used the Aqua Painter to splash a bit of Lemon Lime Twist across the card. If you don't have the reinkers, you can squish the ink pad so some ink gets on the lid, or you can use the Stampin Write Markers to colour on a Clear Block & then pick up the colour from there. I've stamped the sentiment & image in Archival Black so it doesn't smudge when I colour it. I've used the 2017-2019 InColour Stampin' Write Markers to colour in the rose & then went over it with the Aqua Painter to soften it. The colours will meld a little more if you use Shimmery White or Watercolour Cardstock instead of the Thick Whisper White I've used. After it dried, I stamped the leaves over the top of the watercolour & added a 2-1/4" strip of cardstock, also in the Lemon Lime Twist. I've also added a bit of the gorgeous Foil Frenzy in Pool Party with the dots. Then I've added my circle sentiment on top & a couple of Basic Rhinestones for some extra bling. Easy peasy pretty! I've left the inside pretty simple with just a little rose in the corner, so I can write a lovely message & use it for any occasion. 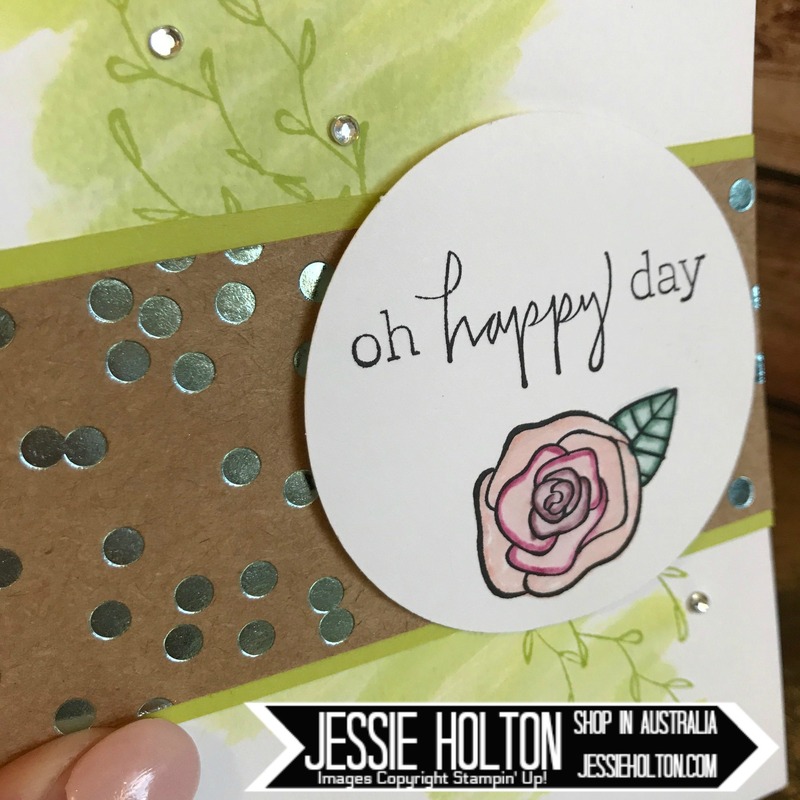 Please vote for my card on Kylie's International Blog Highlights! If I get into the top ten, I get to participate in the additional blog hop! You can vote here.